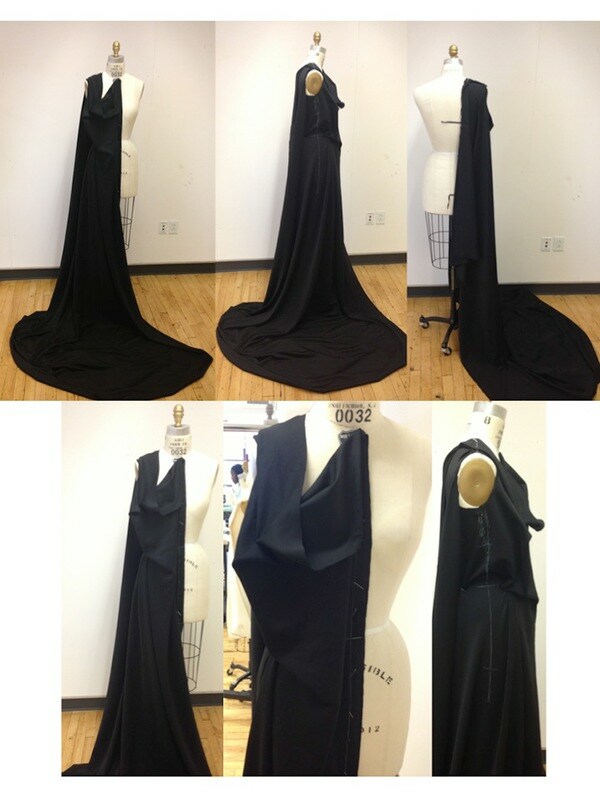 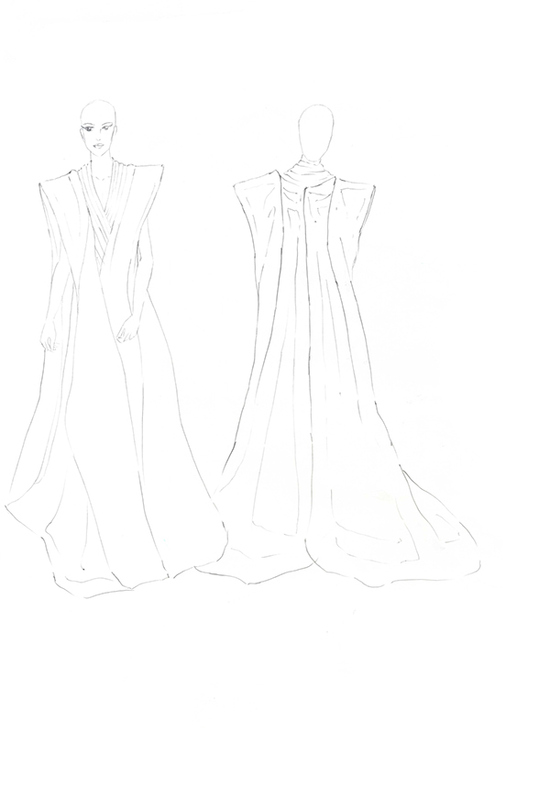 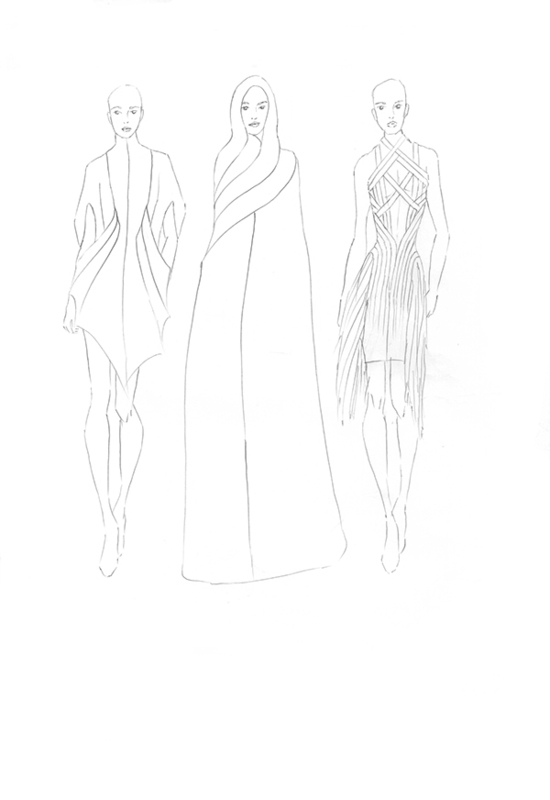 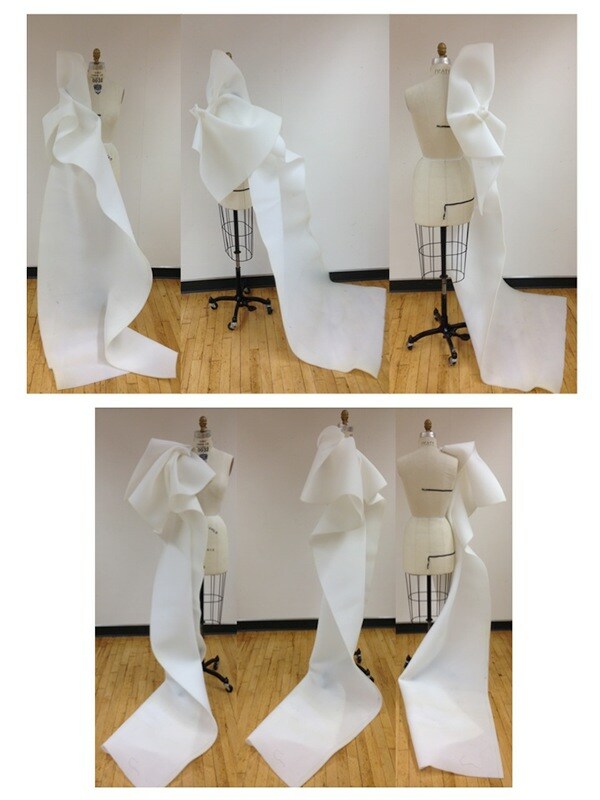 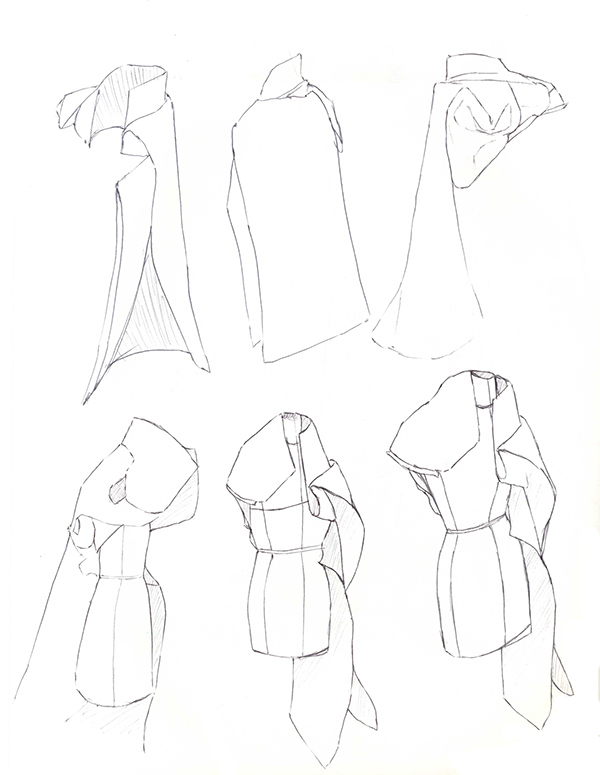 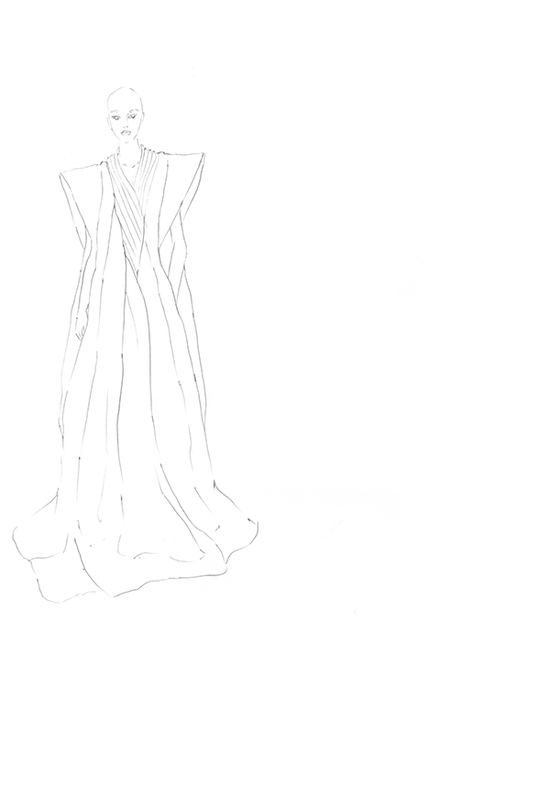 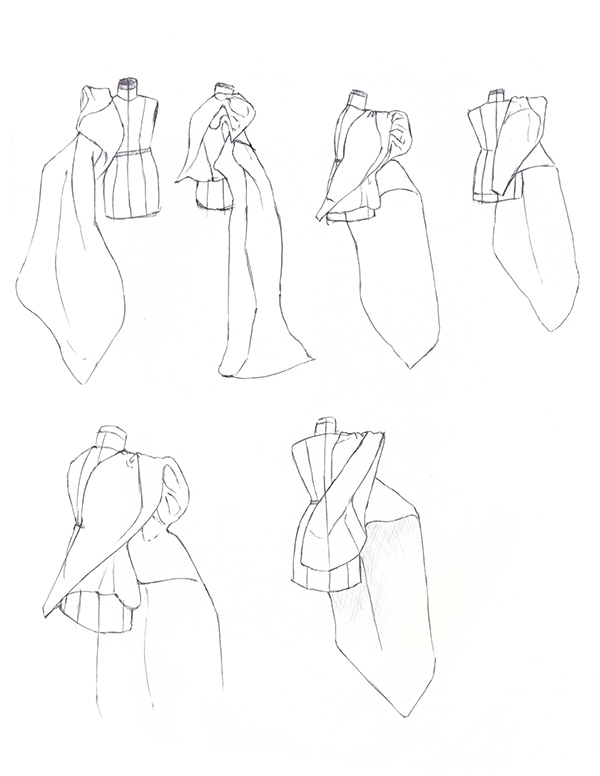 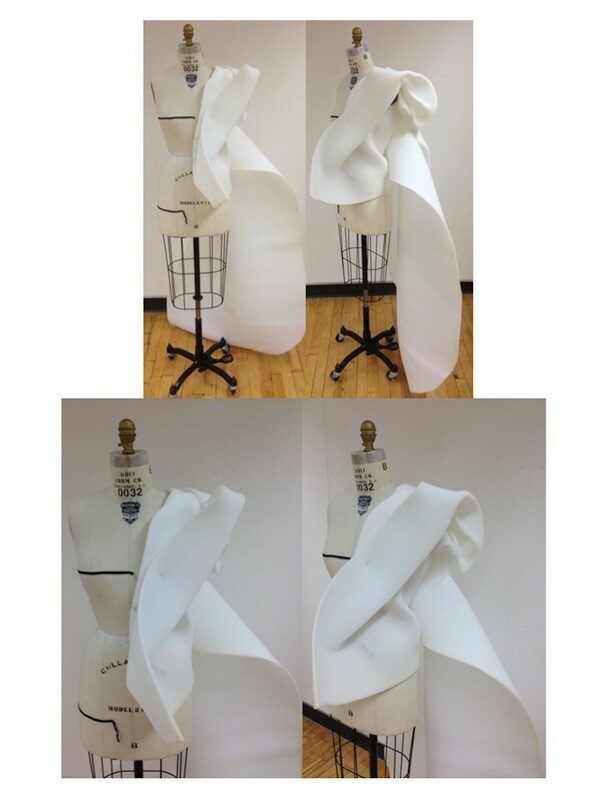 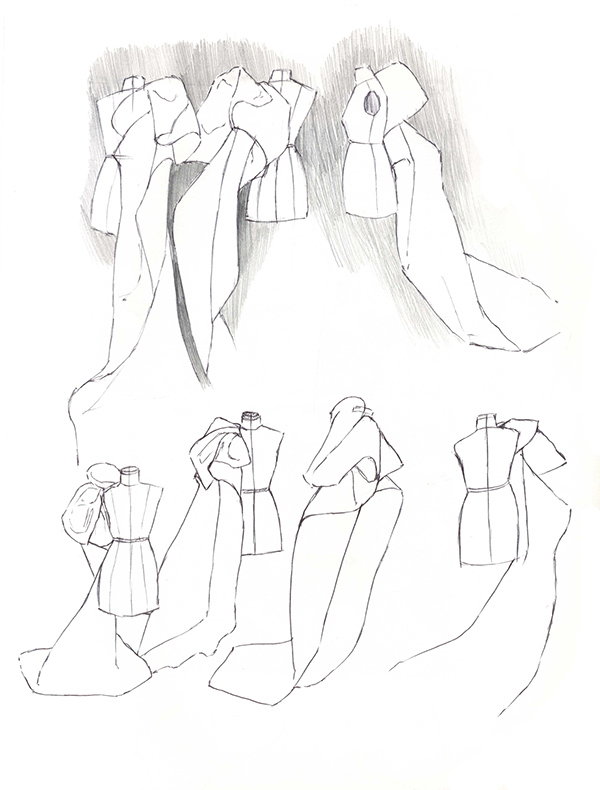 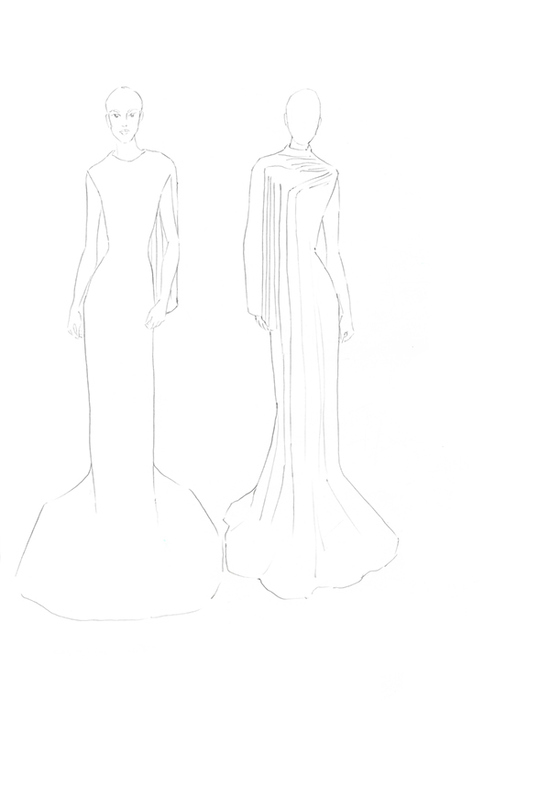 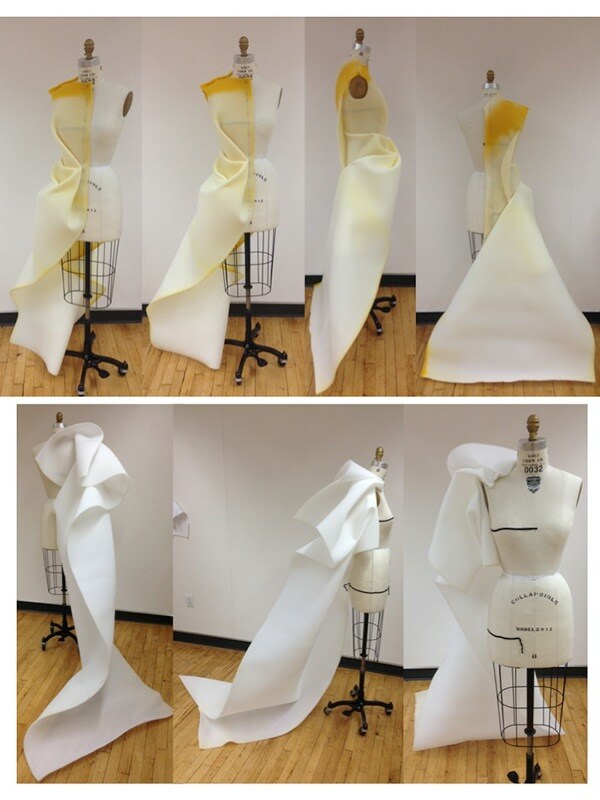 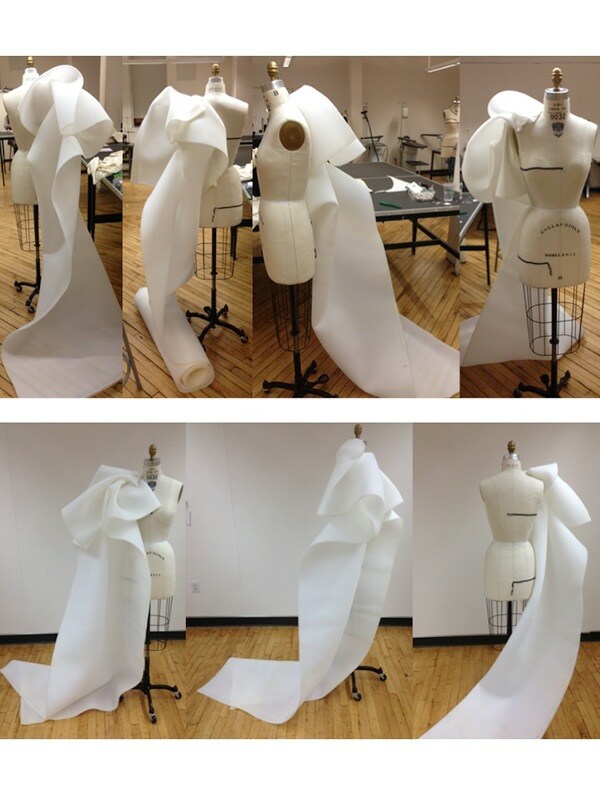 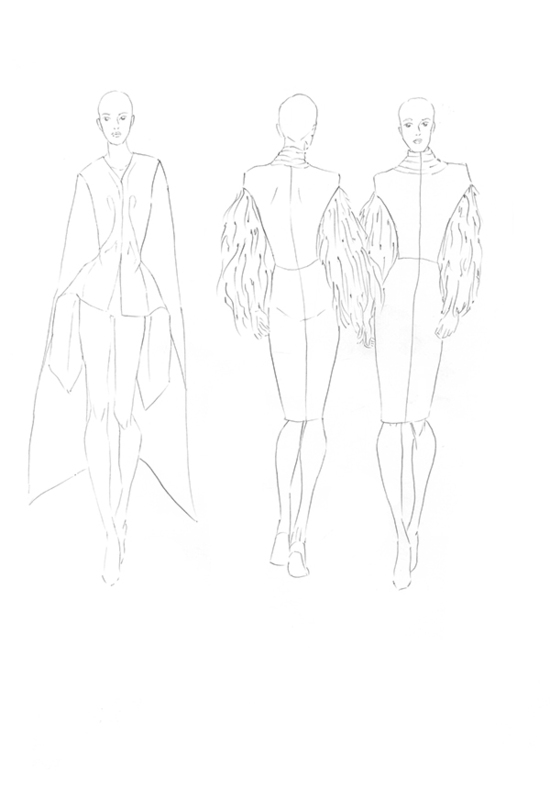 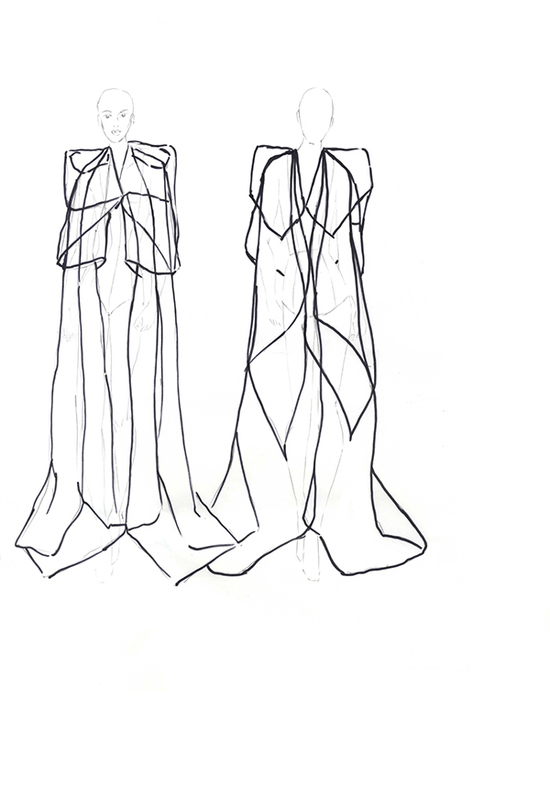 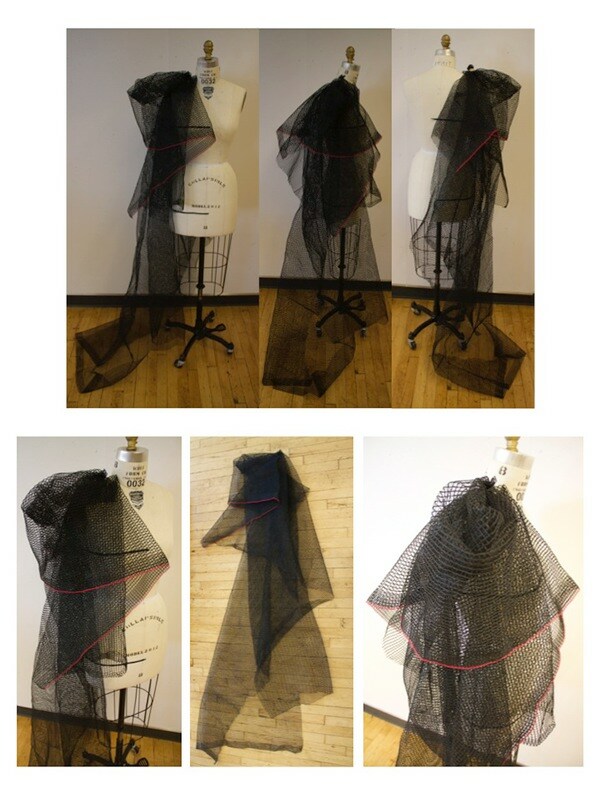 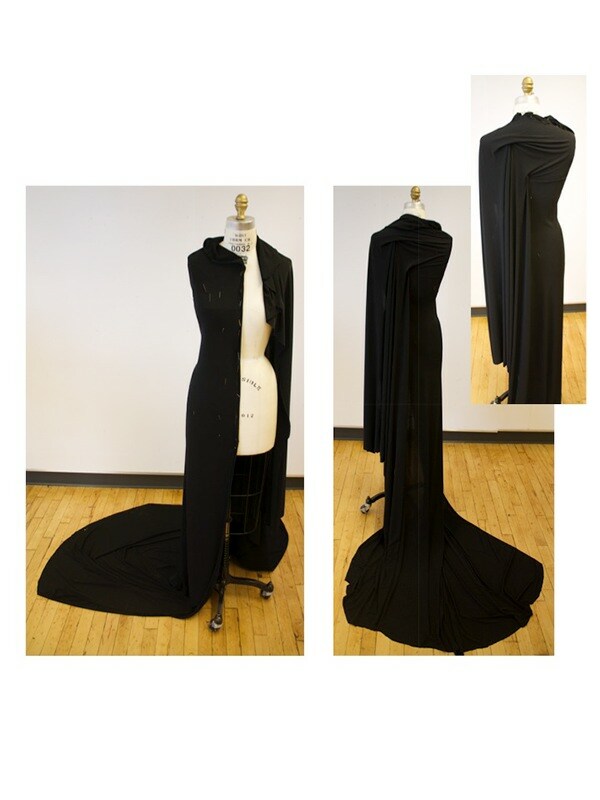 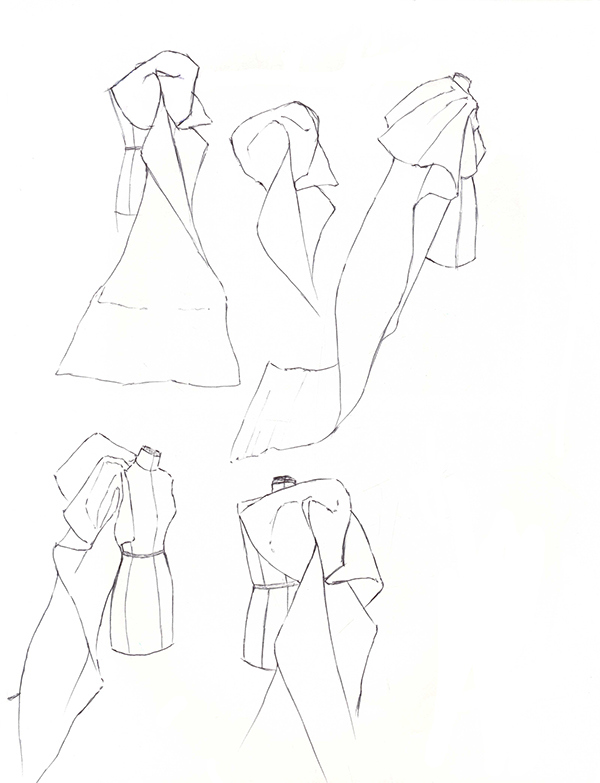 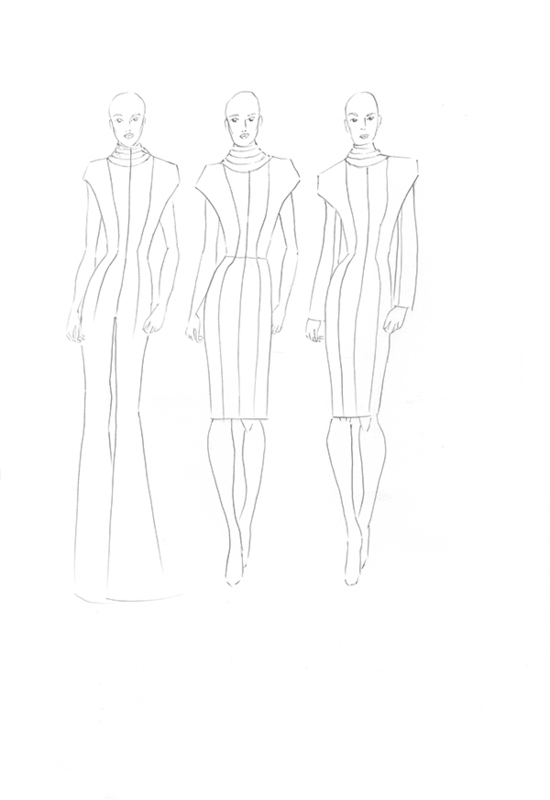 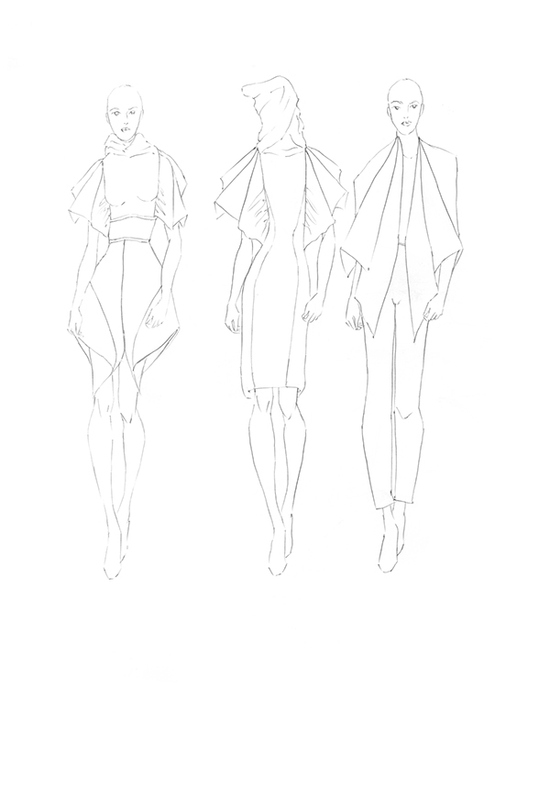 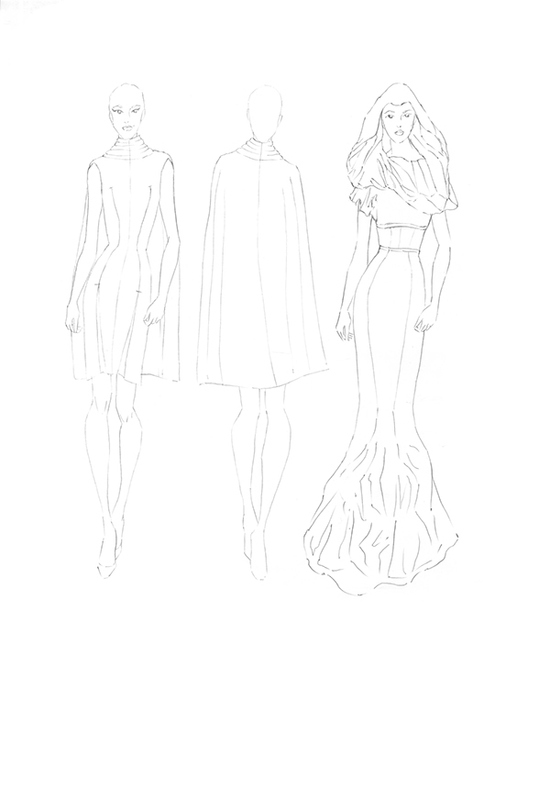 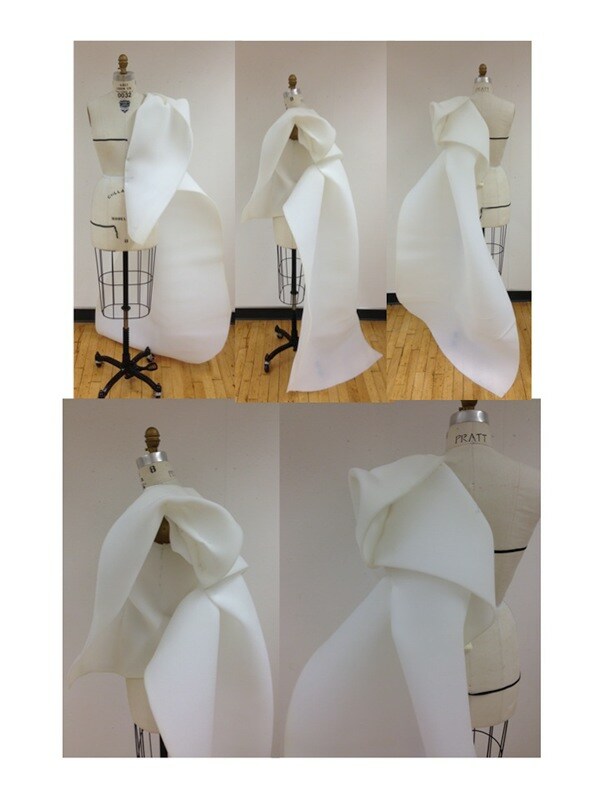 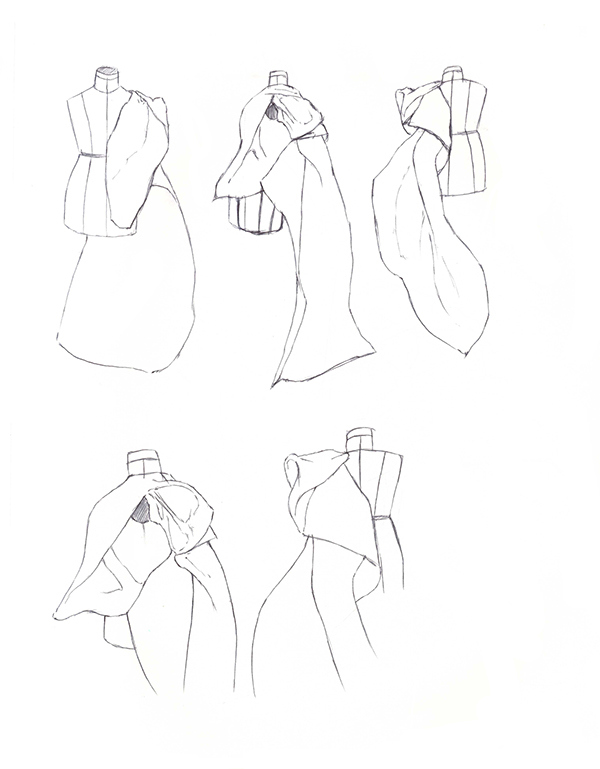 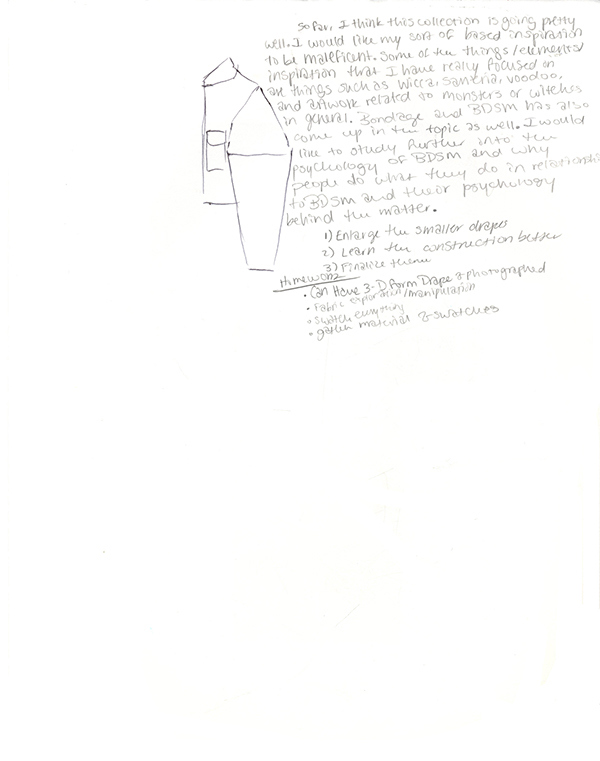 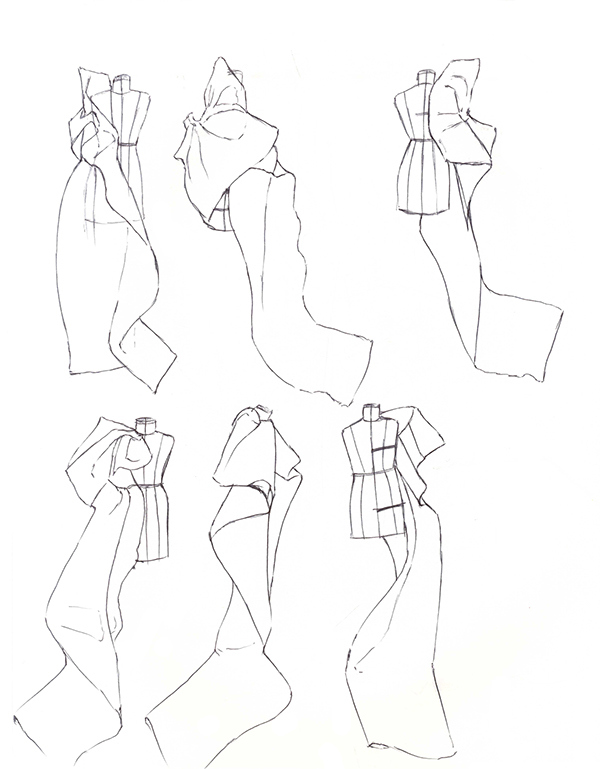 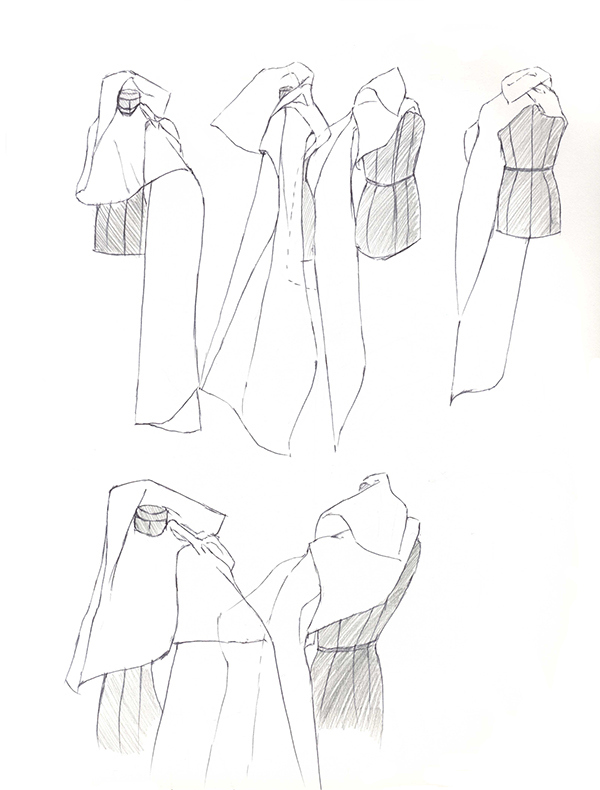 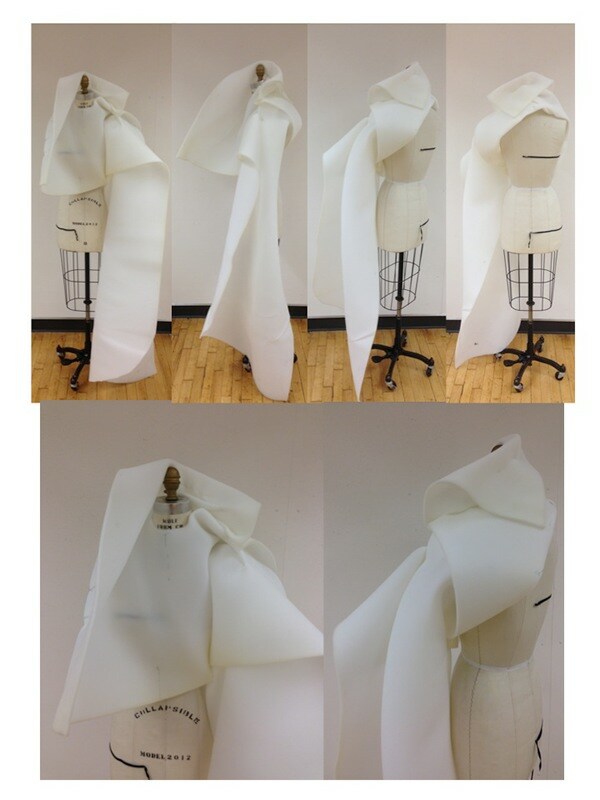 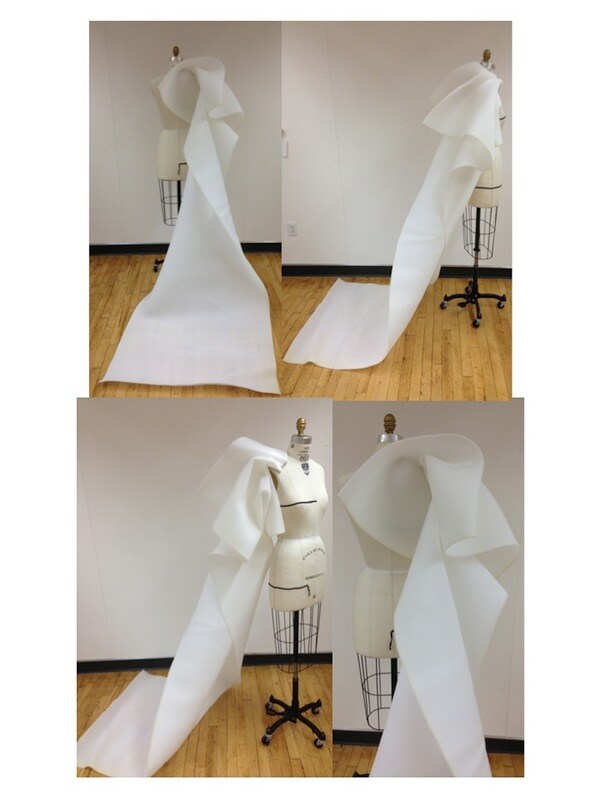 These are some brainstorm half drapes for garment design ideas for a Maleficent inspired collection. 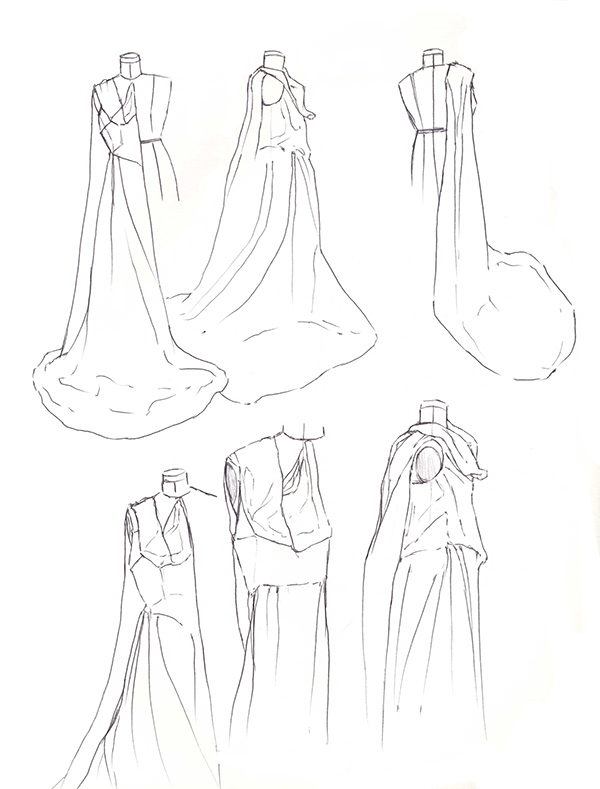 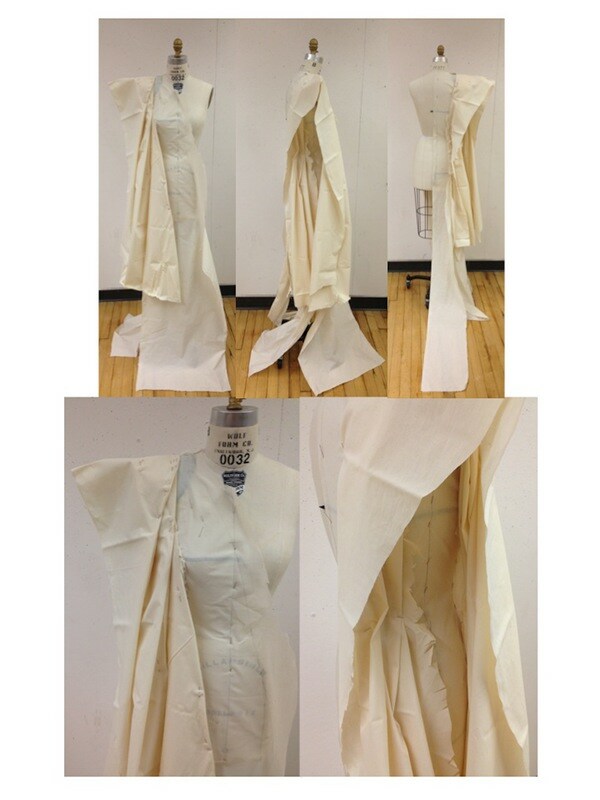 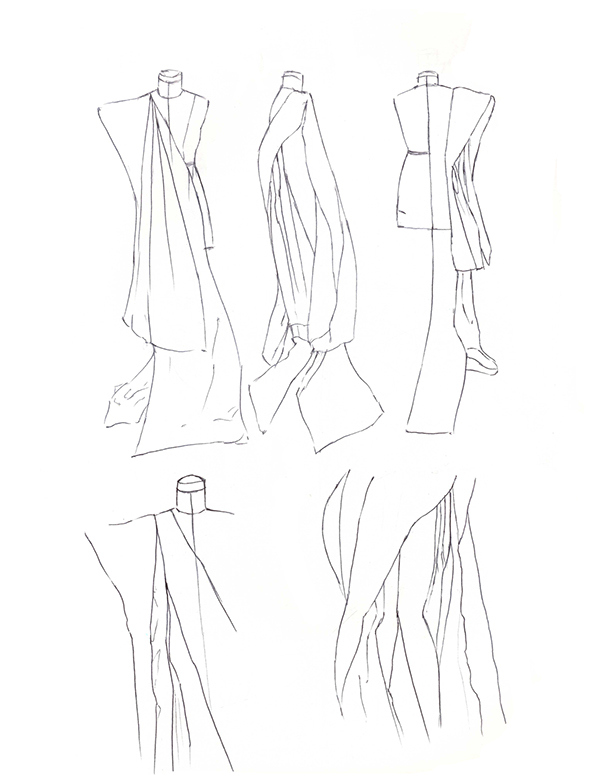 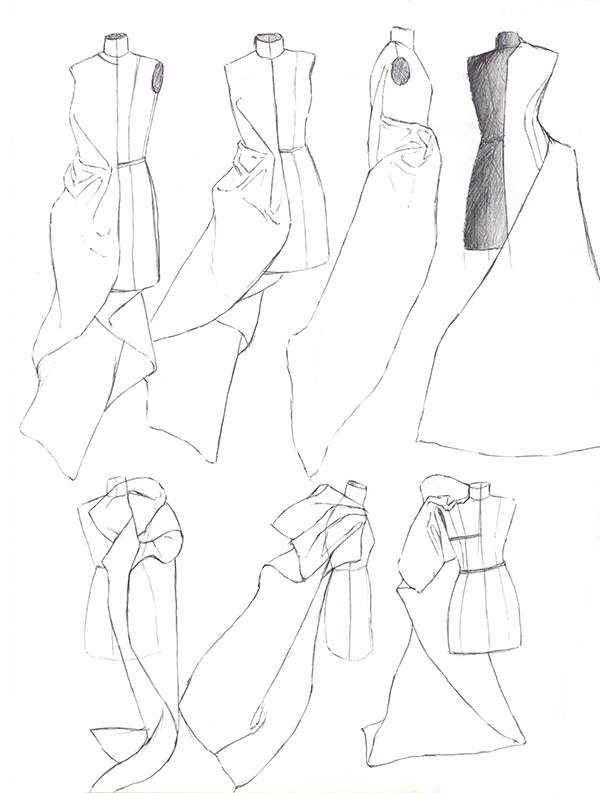 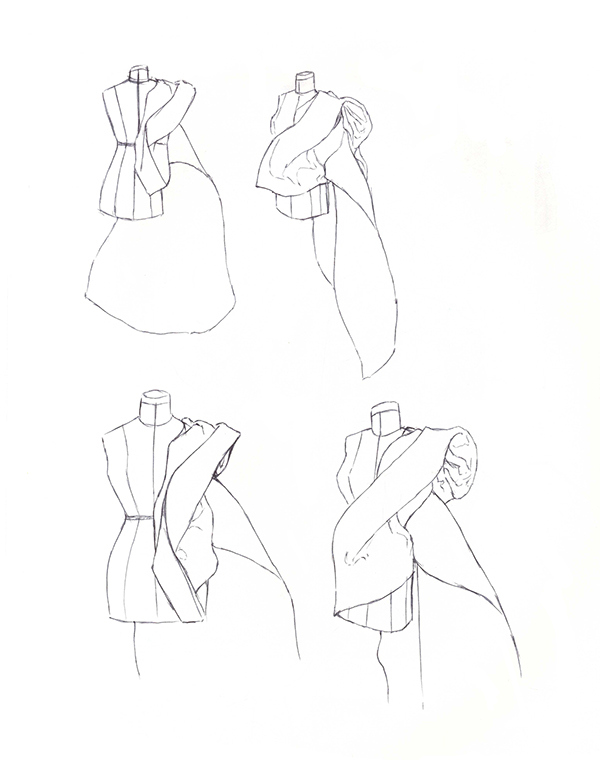 Please note that these are just beginning drapes and are not fully finished garments. 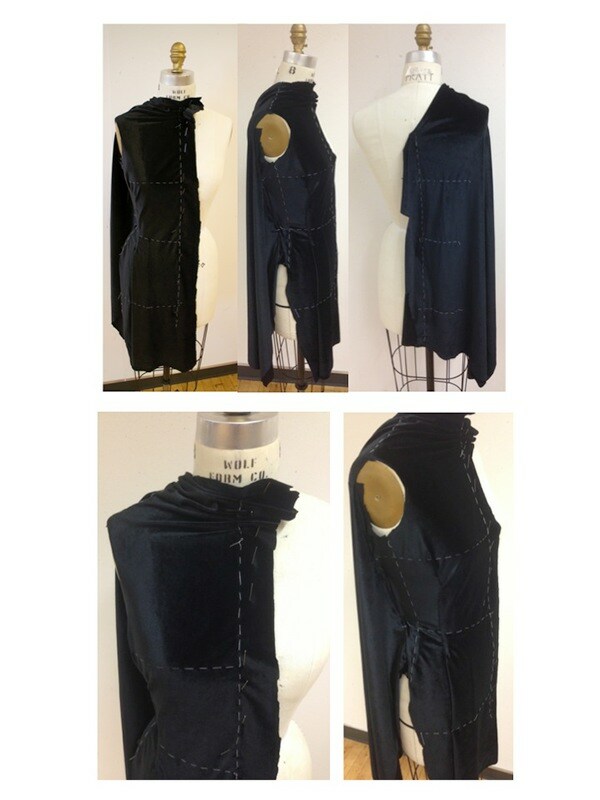 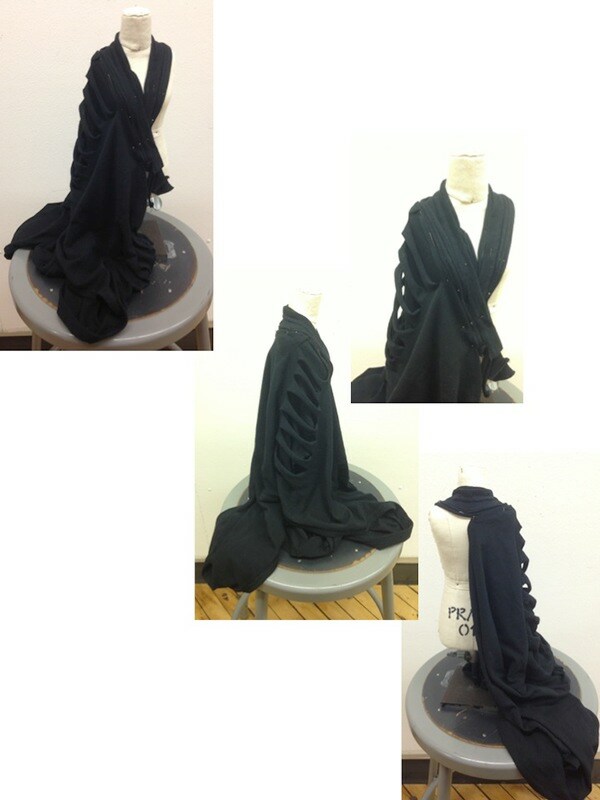 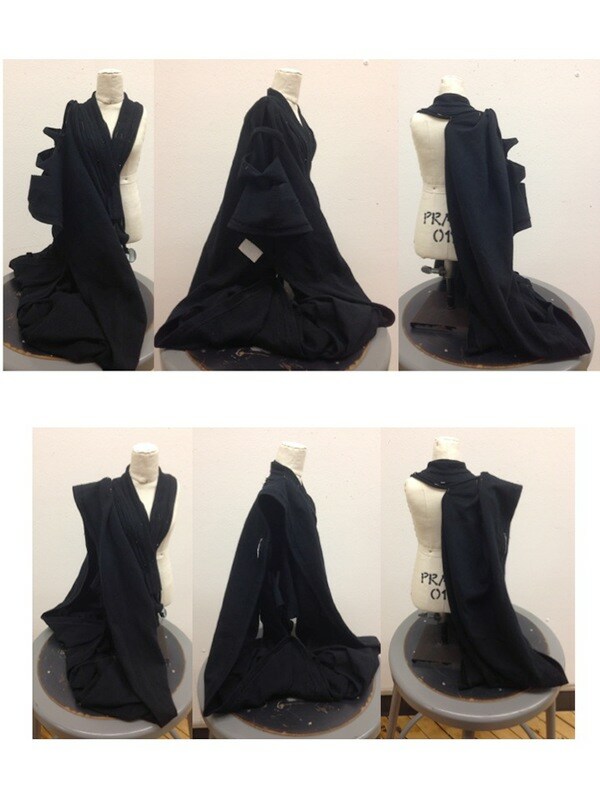 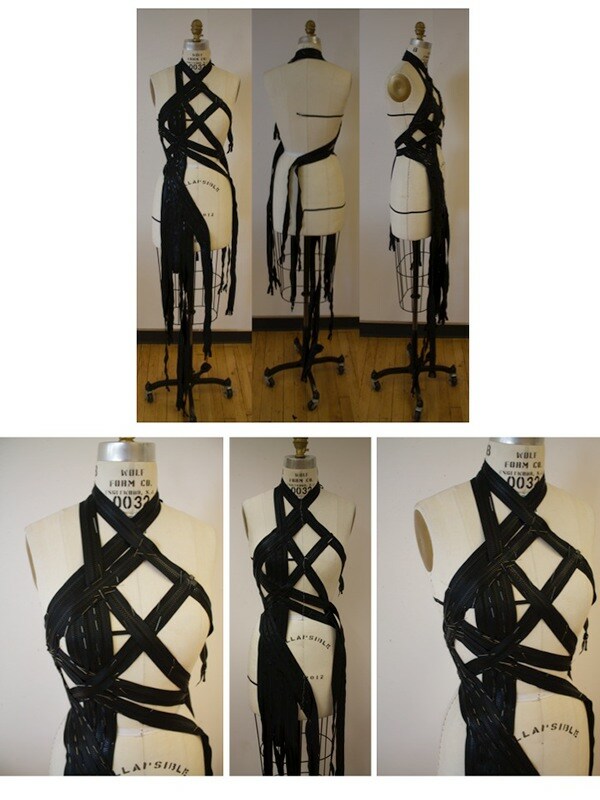 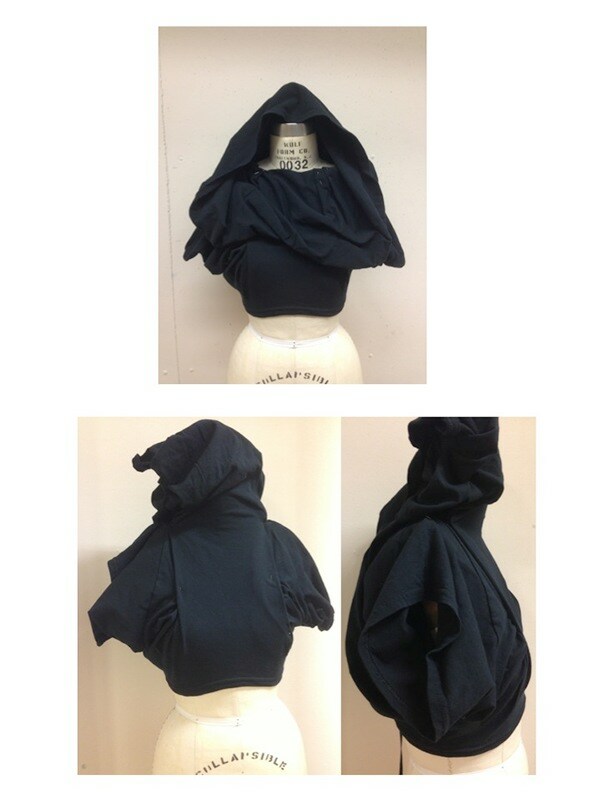 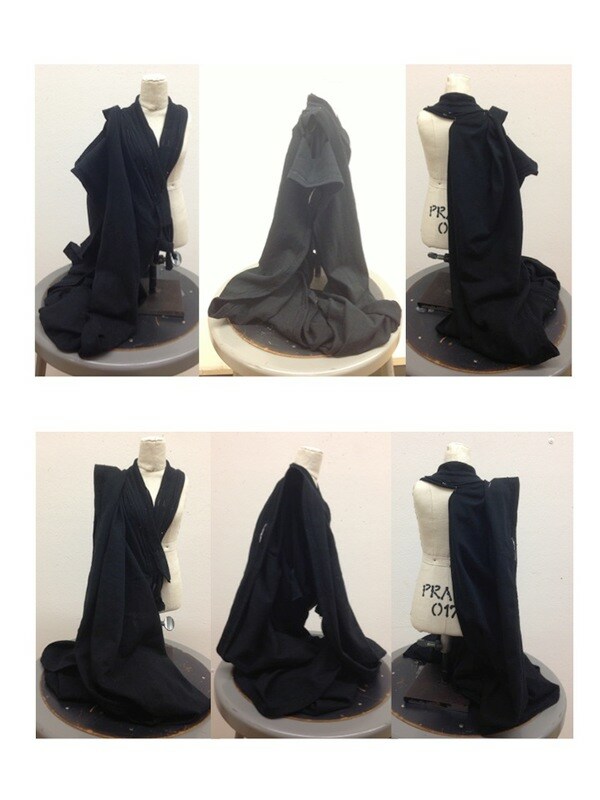 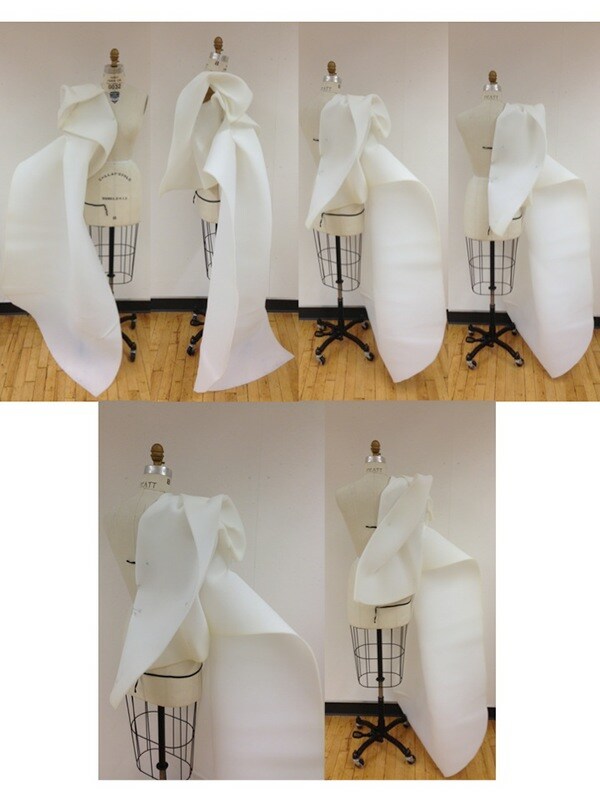 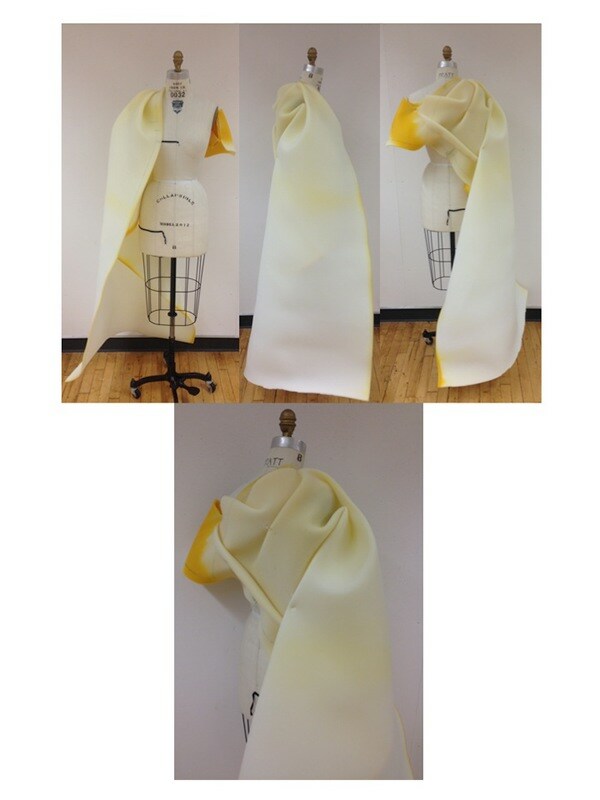 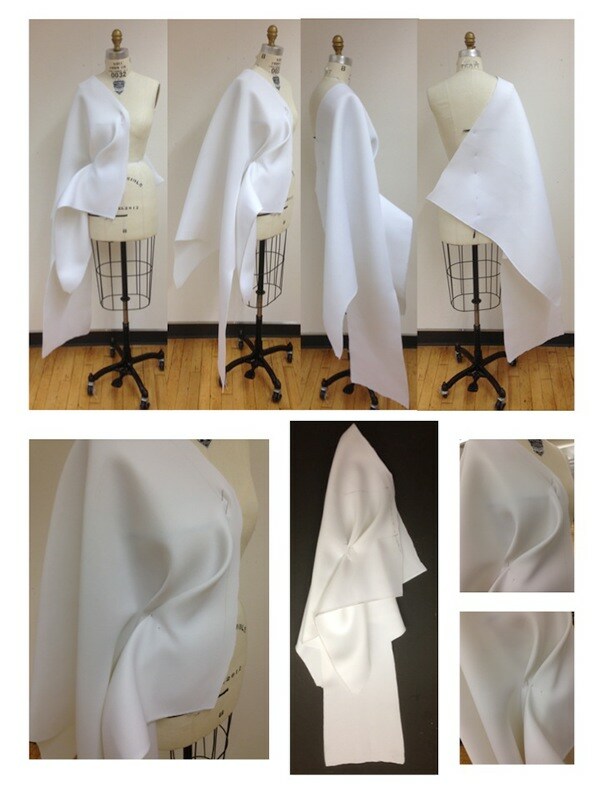 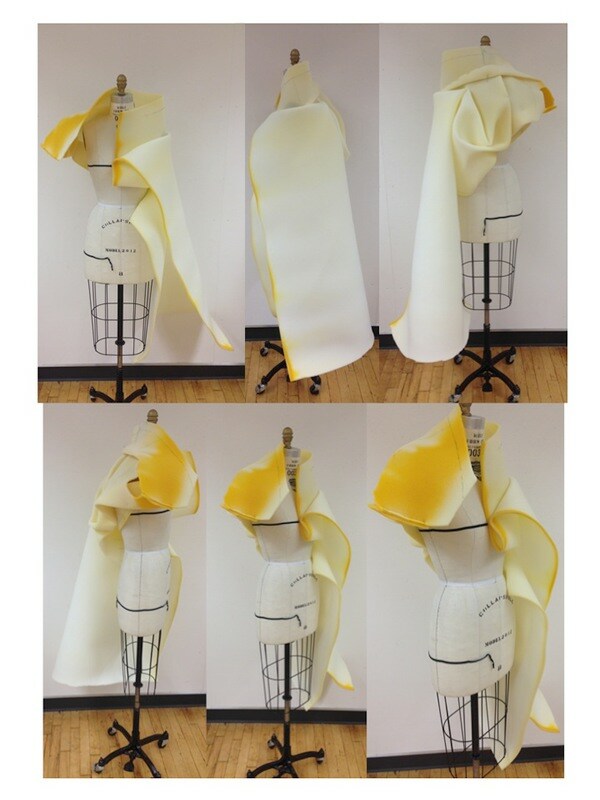 These are sample drapes for a collection inspired by the character Maleficent.